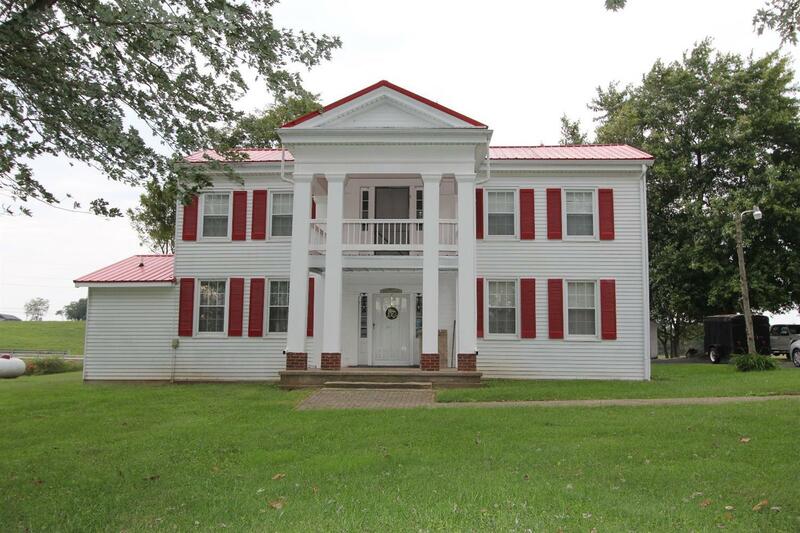 Beautiful, 4 bedroom, 1 full bath historic home that was built in the 1700's is bursting with unforgettable curb appeal! This notable home has a multitude of historic features that were built with the original house such as the hardwood flooring, fireplace casings, stairwell, as well as modern updates, such as the tiled sunroom and updated bathroom which creates the marriage between yesteryear and today. The property also offers a charming bridge crossing the creek on the property, a large barn, a detached garage and separate storage building with a wrap around patio, which can be used for additional storage! With this fascinating, historic home being situated on 3.4 acres and located directly off of US-127, as well as minutes from BG Parkway, it is ideal for business during the 127 Yard Sale!